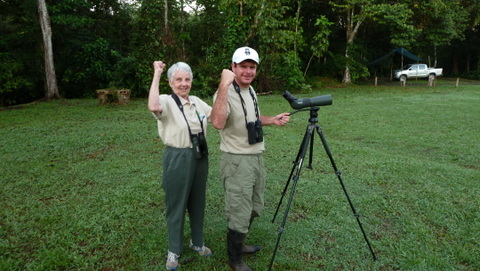 Birding in the Osa Peninsula is an unforgettable experience. Harboring over 460 species of birds alone, the Osa packs an incredible array of wildlife into a very modest area. 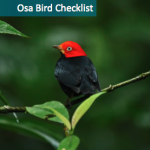 With Red-capped Manakins, Yellow-billed and Turquoise Cotingas and the healthiest population of Scarlet Macaws in Central America, the Osa is one of the most spectacular yet under-birded corners of the country. The Osa Peninsula hosts an array of migratory and endemic bird species attempting their last stand for survival. From Canada and the United States to Central and South America, around 150 species of migrant birds birds travel yearly to flee the harsh northern winter to take refuge in the warm neotropics lying south – facing the unique challenge that is their “dual nationality.” Some of most notable visiting species of the Osa include the Prothonotary Warbler, Golden-Wing Warbler, and the stunning Baltimore Oriole. Birding in the Osa Peninsula gives participants a chance to see these charismatic birds in their second home and protect their critical wintering habitat. Osa Conservation hosts groups of birders who put together their own group of 4-10 participants. Invite your friends and family and fellow bird lovers and once you have a group ready to book, contact us and we will help with the rest. Group lodging for birders will be available at our Osa Verde BioLodge starting in early 2018, whereas individual birders are invited to stay at our BioStation. If you are interested in more details about organizing your birding trip, please send us an email at info@osaconservation.org. Your participation in conservation birding provides direct support for our avian conservation program. Our birding trips are in partnership with local naturalist guides who are intimately familiar with the birds and ecosystems of the region. 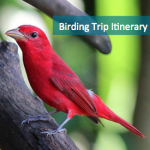 Each trip includes birding in a variety of habitat types, forest hikes, and nightly talks and presentations by our staff of biologists and conservation professionals. Presentation topics include natural history, sea turtle conservation, wild cat conservation, avian research, native species reforestation, climate change and community projects. You’ll be able to observe scientists at work and witness our conservation efforts in action – whether it be reforestation, sustainable agriculture, or care for sea turtle hatchlings. Osa Conservation welcomes participants to be a part of this unique opportunity! We are committed to creating unique itineraries: from planning group logistics to reserving naturalist guides and everything in between. All we ask of interested participants is to put together a group of at least 4 but no more than 10 individuals willing to commit to the experience. For more information about planning your own group trip click on the following link or please email info@osaconservation.org.